Ik ben eerlijk gezegd wat teleurgesteld. Het klinkt een beetje simpel allemaal en dan die vocalen die steeds weg lijken te vallen. Vreemd. Heerlijk nummertje!! Een bijzonder goede samenwerking!! ▒ Persoonlijk vind ik deze samenwerking uit eind januari 2017 tussen de 25 jarige Noorse DJ en remixer: "Kyrre Gørvell-Dahll", alias: "Kygo" en de 24 jarige Amerikaanse actrice, zangeres en modeontwerpster: "Selena Marie Gomez", helemaal nog niet zo slecht !!! Integendeel ☺!!! Argh, das hätte eine 6 werden können. Toller Gesang von Selena, tolle Musik von Kygo, einprägsamer Refrain. Aber warum diese Vocalschnipsel im Mittelteil? Die mag ich so gar nicht. Möglich, dass sich durch Totgedudel im Radio das Nervpotential verkleinert oder es einen schönen Remix dazu gibt. Bis dahin kann ich nur sagen: 75% des Songs sind toll, 25% leider gar nicht. Ergibt eine Vier. Een toch helaas niet al te speciaal plaatje. Nothing particularly original, but I enjoy it. Die Durchschnittswertung hier ist vielsagend. Gut und professionell produzierter Song im omnipräsenten Tropical-House-Stil, der aber keine neuen Akzente zu setzen weiß. Aardige plaat van Kygo maar hij kan beter<br>Toch een ster erbij word steeds beter! Typischer mittlerweile sehr berechtigter langweiliger nervender Kygo-Sound. De 'normale' vocalen klinken heel aangenaam, maar het fragmentarische 'dance-gedoe' is beduidend minder. Einen Punkt Abzug wegen den komischen Voice-Schnipseln, sonst würde mir der Song ganz gut gefallen. @Ali1610: Das mit den Vocalschnipsel finde ich ebenfalls völlig unnötig. Sonst wäre von meiner Seite sicher eine höhere Bewertung drin gewesen. An above average song dragged down by what's happening post-chorus. Nicht schlecht, aber hier hat es Kygo meiner Meinung nach mit "Sprung-Effekten" ein bisschen übertrieben! Das mit den Vocalschnipseln im Mittelteil (danke Ali1610) fiel mir auch negativ auf. Wer weiß, vielleicht wird's ja noch mehr.<br><br>07.12.17: Ok ein bisschen besser sehe ich den Song mittlerweile schon. 3 => 4. Schon jetzt ein alter Hut. hier wurde wirklich zuviel gekünstelt affektiert.<br>hätte wirkluch was werden können...aber nicht so. Vocals finde ich bei diesern Nummer nicht so gut. Auch sonst finde ich diese Nummer eher langweilig. Gerade noch Durschnitt. Selena Gomez au sommet des charts, ça me va ! Sehr gut.<br>Passt gut in den Frühling. I think Kygo did a good job with this track. It comes at a pertinent time as his signature style has been readily mimicked, leaving me with no desire to hear anything he'd put out. The success of the single does feel a bit like the product of the collaboration; it's pretty much his first big name collaboration so it's destined to do big numbers. The chopped up chorus is playful in a way that breathes life into the track. It steps it above being just admirably pleasant. Leuk nummer, en ook vrij catchy. Ik snap overigens wel dat mensen dit matig vinden, maar de echt leuke muziek is ongeveer vanaf 2011 gestopt. Sindsdien is er weinig leuke, originele muziek meer.<br><br>Edit 23/07/2017:<br>Ik ben dit nummer spuugzat, weg met deze standaard troep! Dat dit op nummer 2 kwam wereldwijd, zegt genoeg over de kwaliteit van popmuziek anno 2017. It's nothing new, but at least this one has a nice melody that isn't all over the place and when it is it's actually well done. One of the better tracks on the radio currently and I can barely rate it with 4*. Schlechter geht's nicht mehr. Und ein ziemlich Dünnes Stimmchen die Gute ( Wer ist die Eigentlich?) hab noch nie was von der Gehört/Gesehen. Aber ich scheine ja nix Verpasst zu haben. Hübsche Melodie, wobei ich Selena Gomez von der Stimme her gar nicht erkannt hätte. Nur schade, dass das Kygo-Elektronik-Gefiepe den Song irgendwie wieder entwertet. Knappe 4. Das ist irgendwie gut. Sehr einfach gestrickt, aber bleibt bei mir extrem hängen! Cute song that is actually about breaking up with someone that has pulled the last straw. It's strong in a sense but the tone makes it somewhat of a dissonance. Despite this, it is a nice trop-pop tune that I can dig. Sorry, das ist alles andere als gut, haben wir schon 1000 mal gehört und dieser Refrain gefällt mir auch überhaupt nicht! Love this track. Really liking the last few songs Selina has bought out she is gonna be a force to be reckoned with in the pop world. I quite like this song. 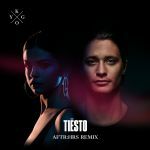 Kygo is good here but I think Selena Gomez is the star here. I'd love if she herself or a songwriter/producer like Sia could write her a brilliant pop song or 2 she could be massive. The young lady has a lot going for her. She is very beautiful so she has the look. I know she is very popular & seems kind of humble & kudos for her coming through her health problems. Selena hasn't had that killer hit/s that Miley had with Wrecking Ball or Ariana Grande had with Problem & other hits those girls have had. I however think she runs rings around them both as far as talent goes. Aardig nummer, maar verre van speciaal. Dat dit zo'n hit is, zegt wat over de muziek anno 2017. I mentioned in my review of Pnau's "Chameleon" that artists who are big in the dance world but haven't made much of an impact in the pop world have suddenly come out with radio friendly hits and have scored success with them. Kygo is one of those artists. Granted, this has happened many times before in the past but this current wave is something I like to call the "Chainsmokers effect". It's a shame it's not as rewarding as I liked, as blending dance and pop sensibilities can go down a treat if done right. I guess songs like "It Ain't Me" just aren't marketed for someone like me.<br><br>I thought this would grow on me but it didn't go anywhere. It just sat around the same level of enjoyment for the whole of its existence. It has helped in not being annoyed at it being a hit, at least. Selena was a good choice for a collaboration. Her vocals are mostly solid, and the stuttered vocal section is good initially but gets a bit much towards the end of the song. The main reason I've found this song difficult to get into is those backing vocals. I absolutely detest them. The lyrics have been relatable for me lately, too. On the whole it's pleasant and easy to see why it's clicked with the general populace.<br><br>Amusingly this has become one of Selena's biggest hits in the process. Clever marketing on both artists' part, especially with the way it's credited as an "&" collab. I've noticed that many of these dance-pop songs have ditched the featuring tag, which is nice as it does give more of an appreciation to the vocalist, who are often female. It's also a wise move for Kygo to switch up his sound, as tropical house has been beaten to death since "Firestone" first graced the charts. Unterscheidet sich stilistisch kaum von 90% der übrigen Titel in den Charts, ist aber qualitativ klar überdurchschnittlich. Find den Song nun echt gut - der Gesang von Selena Gomez insbesondere & die Melodie. Der Sound von Kygo hat schon ein paar feine Elemente inne, doch bereichert hier den Song nicht so sehr. Aber passt. Gebe nun 4*. Nett, Netter, Musik von Kygo. Der Refrain leidet massiv unter dem völlig übertriebenen Soundgeschnipsel. Schade, denn sonst wäre der Song gar nicht so übel. So jedoch klar im roten Bereich. Kygos Musik wird auch immer schlechter. Einer meiner persönlichen Topfavoriten des abgelaufenen Jahres. Typisch Kygo eben, und so passt das auch mit Selena wunderbar. Diesem Song konnte man nicht entkommen. Ganz gut gemachter Tropical-Dance-Hit weltweit erfolgreich.